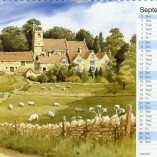 Category: Books and Calendars. 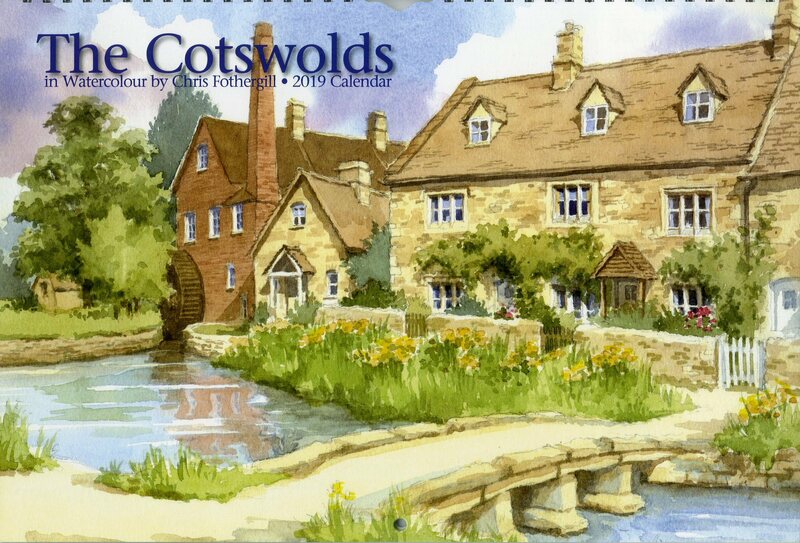 Tags: chris fothergill, cotswold calendar, cotswolds, painting, watercolour. 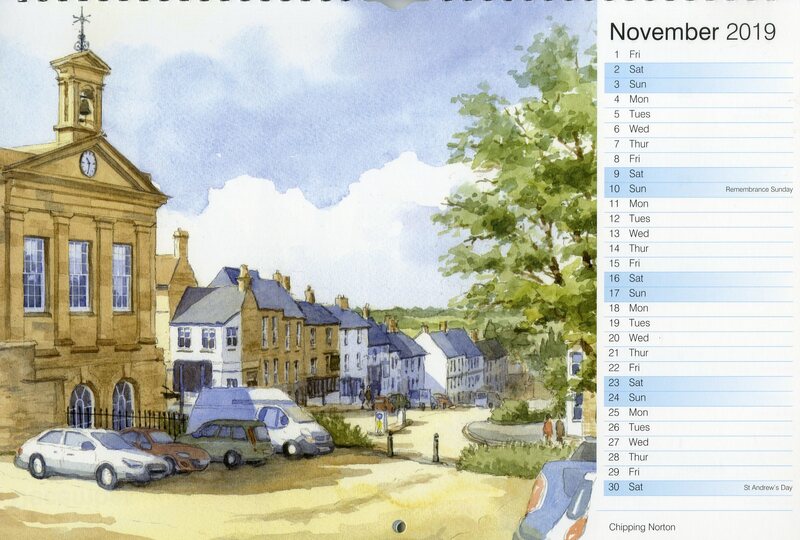 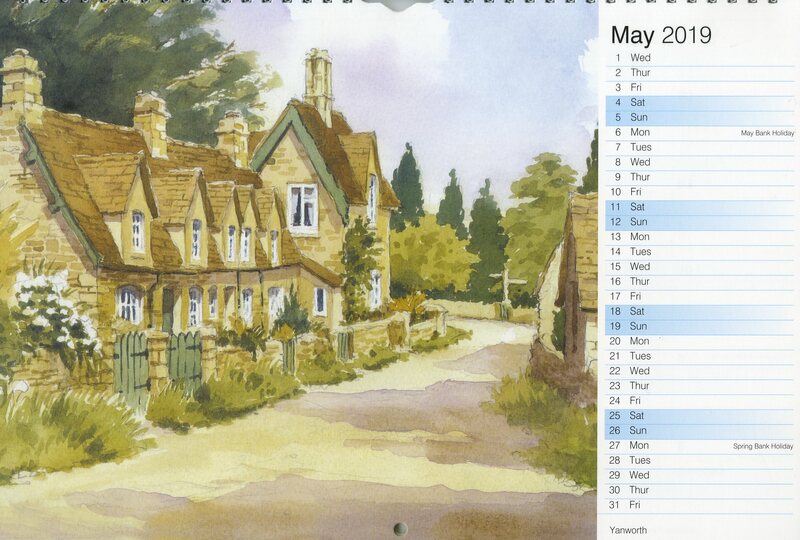 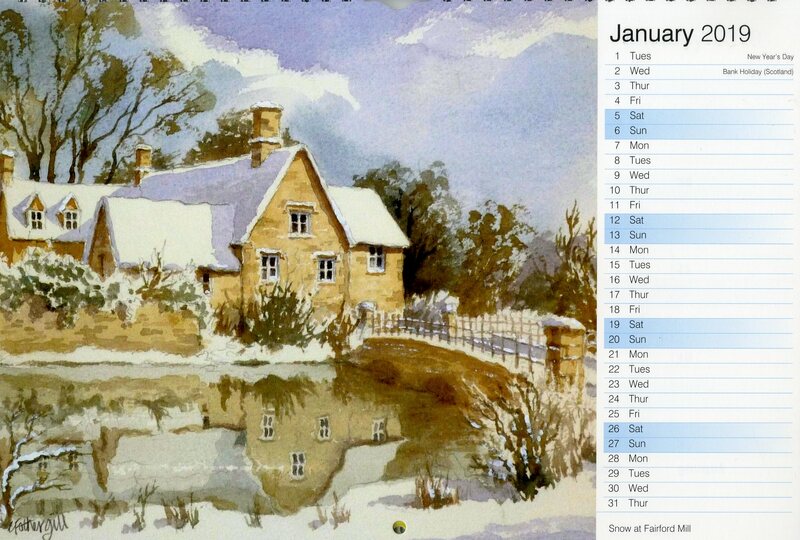 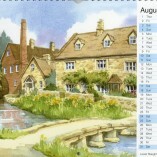 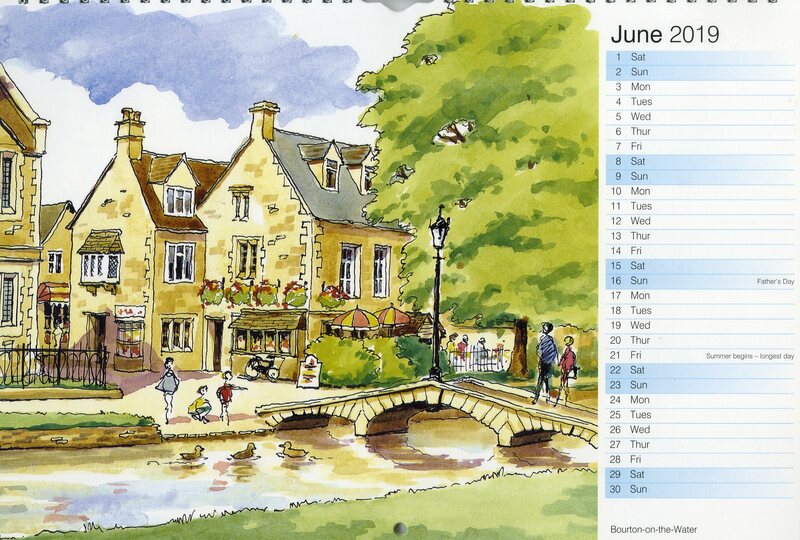 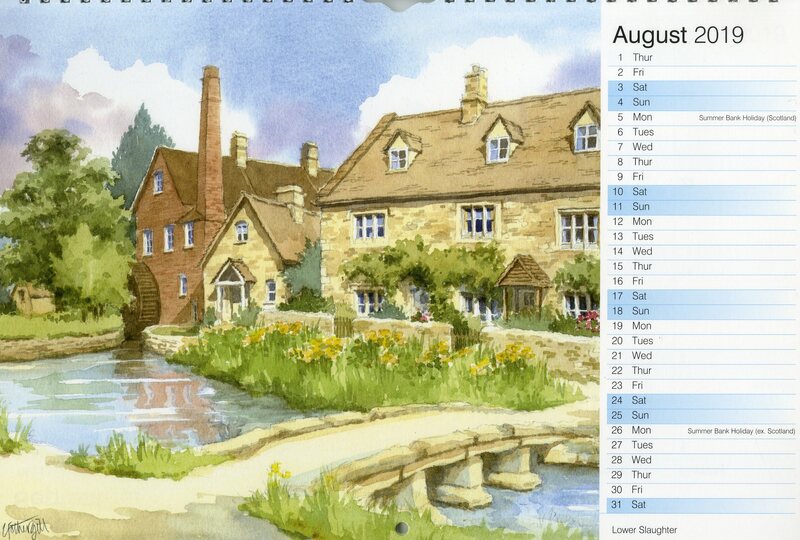 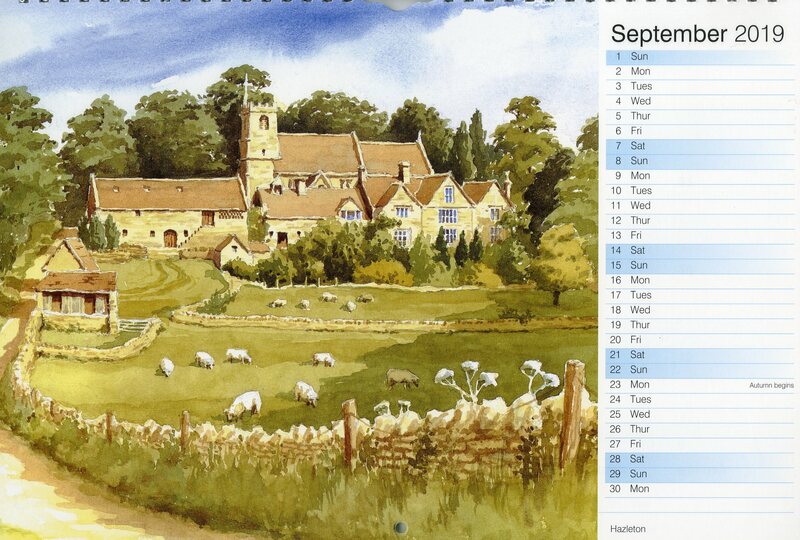 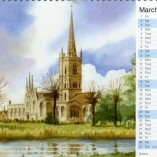 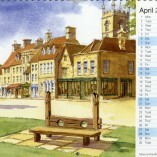 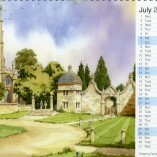 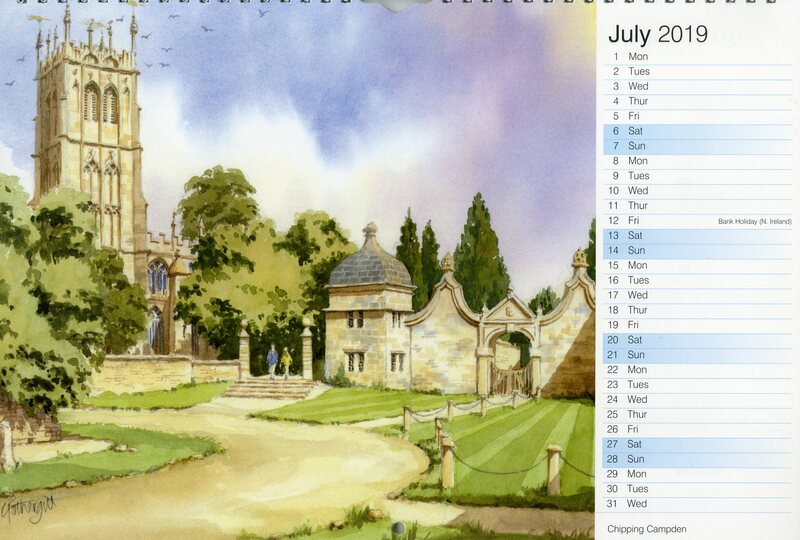 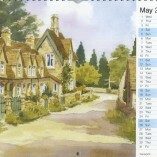 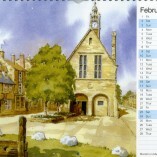 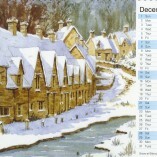 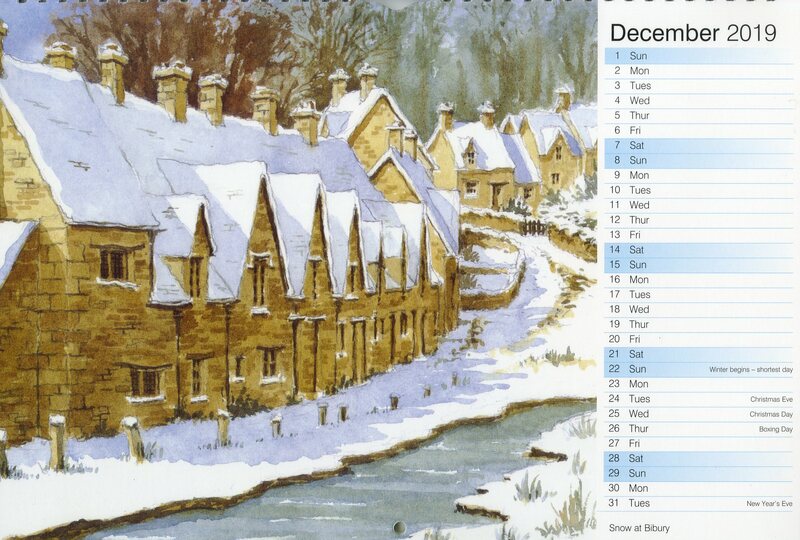 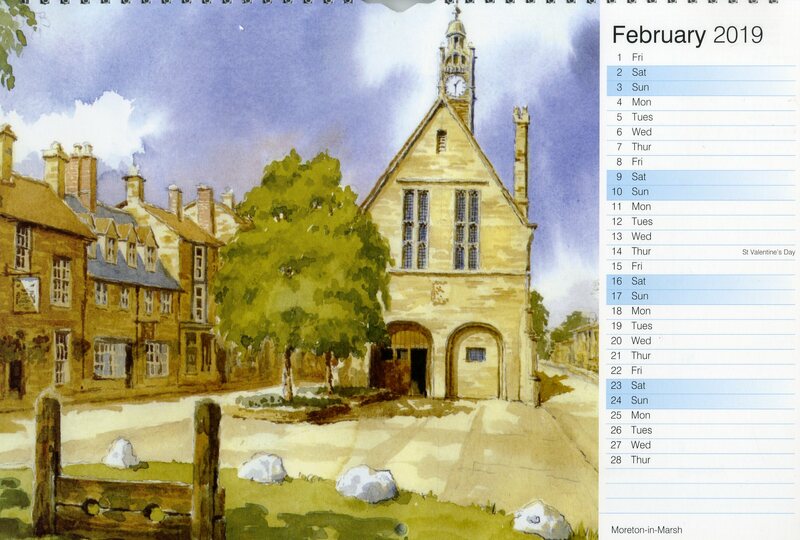 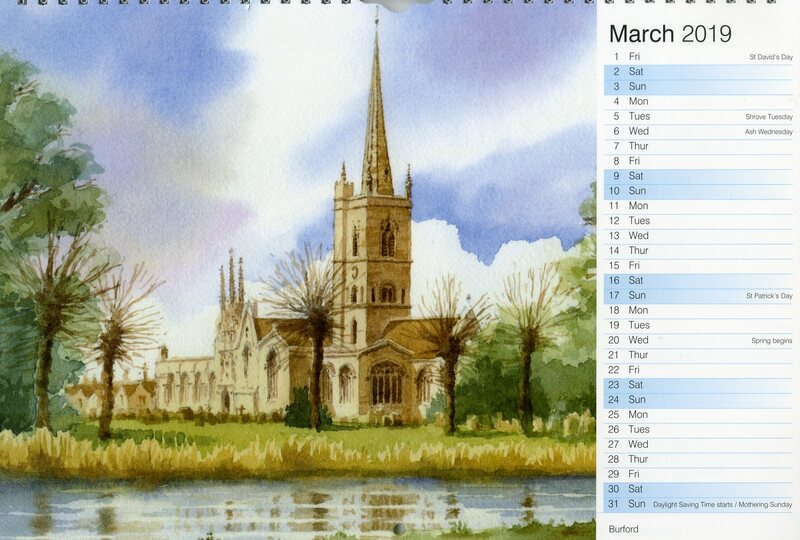 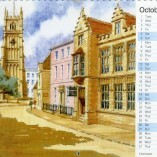 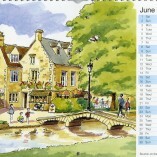 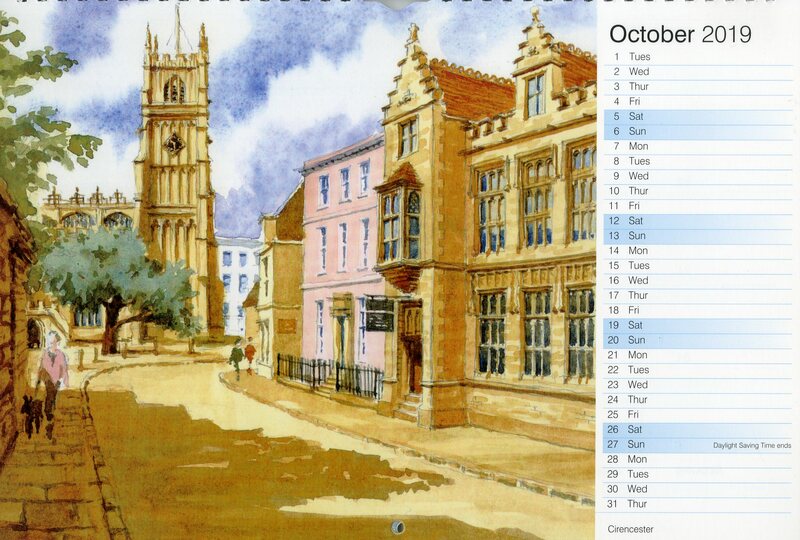 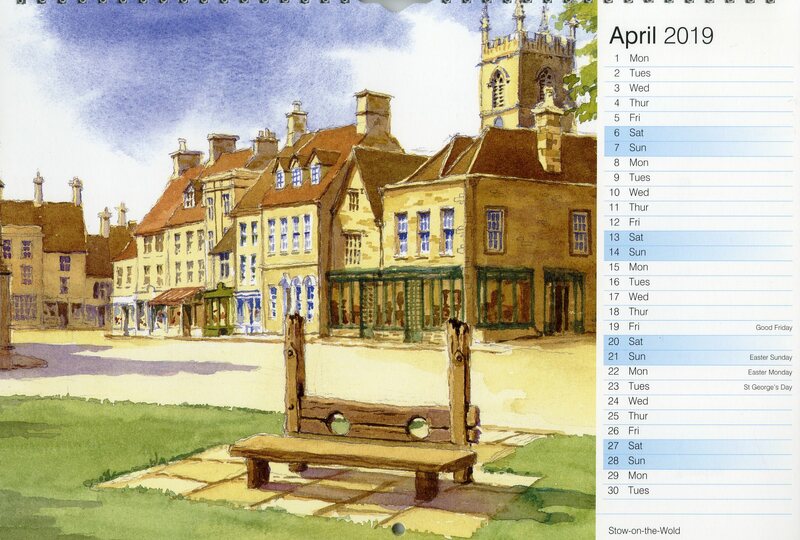 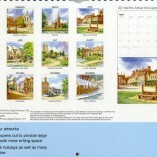 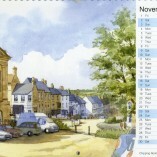 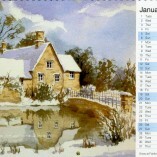 Produced and distributed throughout the Cotswolds by Judge Sampson Ltd since 2002, this calendar features the watercolour paintings of local artist Chris Fothergill. 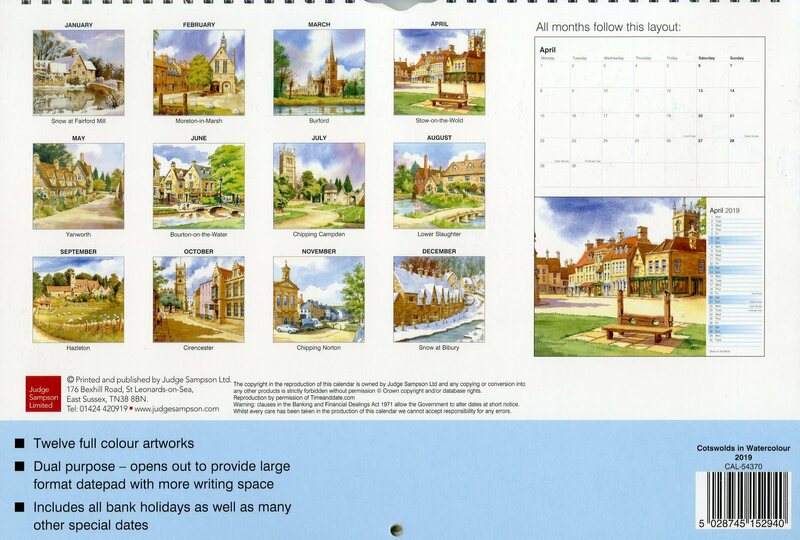 With a different view for each month reflecting the seasons of the year, there is a space for notes each day on the same page, and a whole month to a view page if opened out to a double spread. 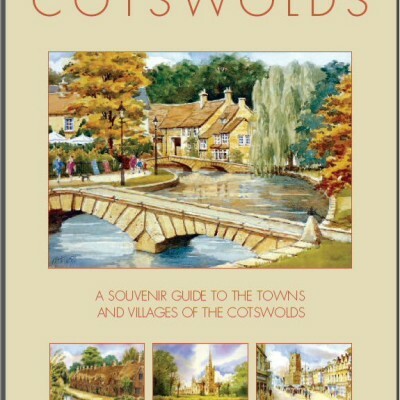 An ideal gift for lovers of the Cotswolds.